Halo Style Hair Extensions with a additional clip installed for added support. Great for that seamless no fuss, no mess look. Easy to use. 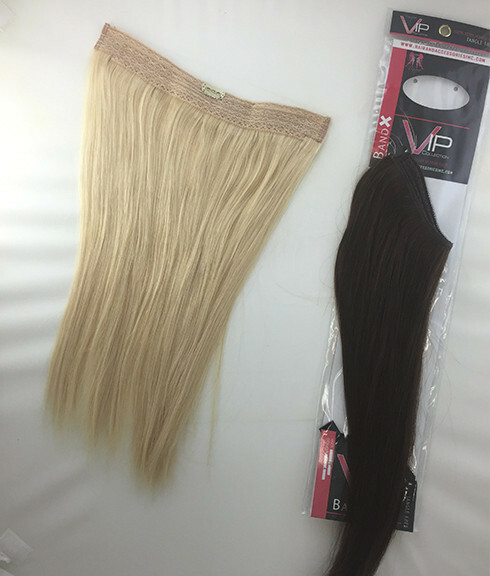 Made of 100% Remy Human Hair!